I will start this by saying that I am queer. It is not my defining feature and I am not the person to befriend if you are looking for someone to be your GBF but it is a part of who I am and how I view the world. I love seeing LGBT+ stories told in film and TV, as long as they avoid a list of tropes that I am slowly compiling but that is an article for another day. I am also currently rather obsessed with Asian cinema. So when I heard that there was a film showing at the London Korean Film Festival that had a central gay story line, it was fair to say that I was mildly excited to see it. The Poet and The Boy by Kim Yang-hee did not disappoint. It is a stunning piece of cinema that handled its subject matter with sensitivity and a lack of judgement on the actions of the protagonists. 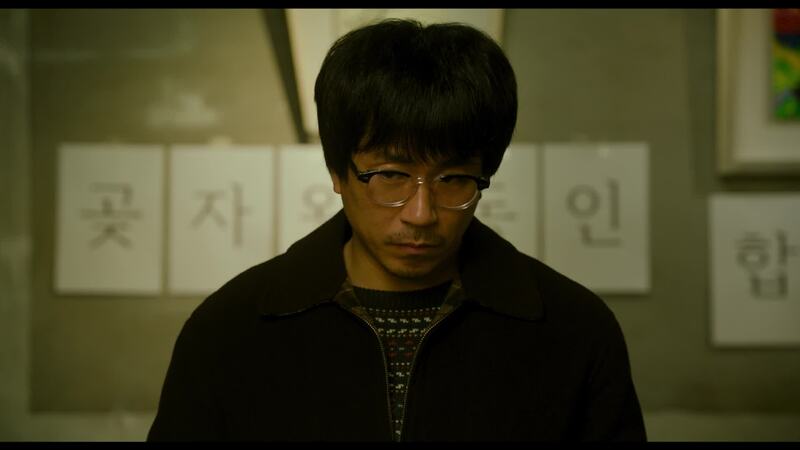 The story follows Hyeon Taekji, played beautifully by Yang Ik-june, a struggling poet living on Jeju island. He clearly has a great love of the natural beauty surrounding him and the shots that overlap the island scenery with his poetry are stunning. However, as he is told at the writers group that he attends, he hasn’t suffered in love and is lacking true depth to his writing. His marriage to his wife lacks passion on his part and she is slowly consumed by her desire to have a child. Much of the comedy in the beginning of the film comes from their relationship and the hurdles they encounter in the attempt to reproduce. One day to cheer him up, the wife buys him donuts from the new american style donut shop that has opened opposite them. He develops an addiction to them and spends all his time in the shop where he becomes enamoured of Seyeun, the younger man who works there. What follows is a beautiful examination of love and what we will do and sacrifice for those that we love. The blossoming relationship between the two men is reflected in Taekji’s maturing poetry and the disintegration of his marriage. Jeon Hye-jin and Jung Ga-ram turn in amazing supporting roles as the wife and the boy, with the varying relationships between the three characters being played with great depth and honesty. It may not give you the hollywood ending that we sometimes crave in cinema as a release from the everyday but it retains an emotional honesty throughout that is refreshing in an age where you so often end up questioning why people do the things that they do. The performances of all three central characters are rounded and treated with affection and a lack of judgement from the director that allows you to build your own responses to them without being spoon fed them. The examination of love and how it changes you and makes you sacrifice yourself to support the other persons happiness is done with the care and sensitivity that it deserves. The use of poetry and the imagery of Jeju adds to the experience without being a distraction or crutch to the narrative. As I said before, I went in wanting to love this movie. I left loving it and feeling more happy with the world than I had in awhile. I could not recommend this film enough and it has joined that list of films that I have that I demand other people watch, if only so that they can share my emotions. Previous PostDetective Pikachu – Brand New TrailerNext PostRoma – Brand New Trailer!